Pros: A 5″ 1080p screen featuring a ridiculous pixel density of 440ppi. Stylish design with typical HTC quality materials. The S4 PRO is the most powerful CPU/GPU in the current Android universe. Cons: Large for the average consumer. No SD card slot. Internal battery. Outlook: The specs of the DNA are as impressive as any phone on the market. The 1080p screen would be the first of its kind on any smartphone and the quad-core S4 Snapdragon CPU is one of the most powerful available. The relatively small battery may be cause for concern however. Pros: Improved version of the already great One X. The AP37 Tegra 3+ quad-core CPU is an upgrade from the dual-core S4. The 720p Super LCD-2 is one of the best screens on the market. Fantastic design with high end matte polycarbonate uni body. Looks and feels premium. Bigger battery. Great camera. More standard on board storage and any other phone (64GB). Cons: No SD card slot. Internal battery. HTC ImageChip/ImageSource camera system doesn’t produce better pictures than the competition (though still very good). Outlook: The One X+ is the best looking Android phone on the planet. It has a powerful quad-core Tegra 3+ CPU, a beautiful screen, plenty of on board storage and a great camera. Unfortunately the Tegra 3+ chip is still the 40nm variety meaning it runs hotter and uses more battery than other quad-core processors. Pros: Top CPU/GPU available. Flagship specs across the board including ram, camera, and screen. Back cover is a unique polarized jewel pattern. Cons: No SD card slot. Internal battery. Glass back is fragile. No front facing notification LED. Launching with Ice Cream Sandwich instead of Jelly Bean. Historically LG’s Android skin is among the worst. LG doesn’t always update their phones in a timely manner. Outlook: The LG Optimus G has a super powerful quad-core S4 Snapdragon CPU, a high resolution 4.7″ screen and a generous 2GB of RAM. The only negatives are LG has a bad reputation for supporting their flagship phones and it’s launching with Ice Cream Sandwich instead of Jelly Bean. Pros: Above average(HD), and insane(MAXX) battery life. Premium materials including Kevlar back plate. On screen buttons. SD card slot. Very good HD screen. Radios and call quality are top notch. Cons: CPU and GPU arenslightly outdated compared to other forthcoming flagships. Pentile matrix screen. Ships with Ice Cream Sandwhich instead of Jelly Bean. Verizon charges too much for both. Outlook: If you need a phone that gets serious battery life, both the standard RAZR HD and RAZR HD MAXX are excellent choices. Owners of the RAZR HD MAXX are reporting they get multiple days on a single charge with 7+ hours of on screen time. Verizon charges too much for both phones, but Amazon is currently selling the RAZR HD for $149.99 and the RAZR HD MAXX for $199.99. Do yourself a favor and spend the extra $50.00 to get the MAXX. Pros: Very large RGB Super AMOLED screen (Samsung’s first non-pentile HD screen!). Large removable battery. SD card slot support for up to 64GB. S-pen functionality. Excellent camera. Multi-window function is seriously cool. Cons: Very large for the average consumer. Looks like a very large Galaxy S III. Physical home button. Cheap feeling materials. Outlook: The Galaxy Note 2 offers a powerful quad-core Exynos processor, the best Super AMOLED screen Samsung has produced to date, and a healthy 2GB of ram. The S-Pen stylus and Note 2 specific software offers unique functionality. 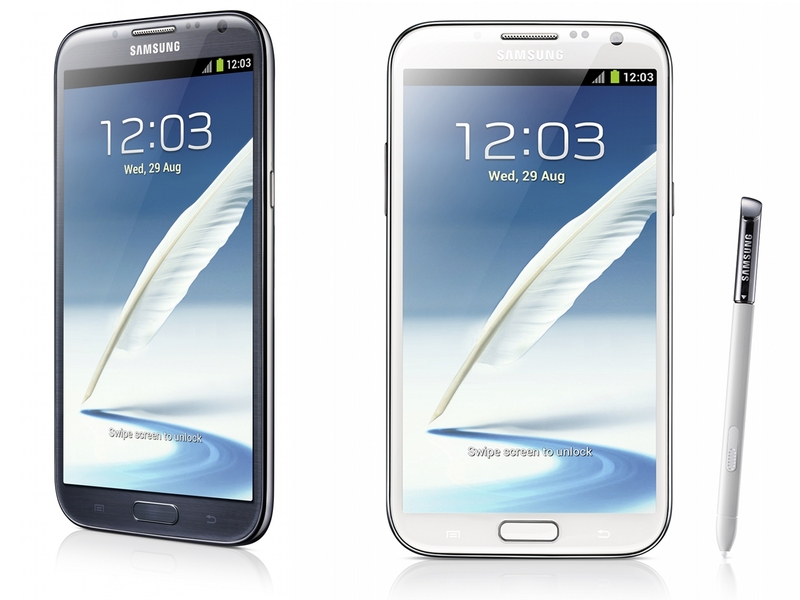 The Note 2 is physically very large and not for everyone. Pros: Quality screen. Unique, clean design. SD card slot. On screen buttons. Cons: Smaller internal battery/mediocre battery life. CPU and GPU slightly outdated compared to other forthcoming flagships. Launching with Ice Cream Sandwich instead of Jelly Bean. Outlook: The Xperia TL has a nice 4.6″ RGB 720p screen, a 13mp camera, and a dual-core Snapdragon S4 CPU. The $99.99 price point is a pleasant surprise and makes the TL a solid value. Anyone looking for a budget friendly smart phone on AT&T should give it a look. Pros: Top CPU/GPU available. Flagship specs across the board including ram, camera, and screen. Nexus phone means non-encrypted boot loader and stock Android. Nexus phones get updates as soon as they’re available. Cons: No SD card slot. Internal battery. Storage options are very limited. Won’t work on Sprint or Verizon, and no LTE support for AT&T. Outlook: The LG Optimus Nexus brings top notch specs, a non-encrypted boot loader and stock Android together in a tidy black package. Pros: Fantastic Super LCD-2 screen with a very high 342ppi pixel density. Unique and colorful design borrowed heavily from the Nokia Lumia line. Solid polycarbonate body. Beats audio integration. Cons: No SD card slot. Internal battery. Thick compared to iPhone 5 and flagship Android products. Outlook: The HTC 8X has a 4.3″ 720p screen and the same dual-core Snapdragon S4 CPU as all the competing WP8 flagships. The design is similar to the Nokia Lumia 920 and appears to have the high build quality and solid materials that HTC is known for. Pros: The 4.5″ PureMotion HD+ screen looks fantastic and has Synaptic’s new super sensitive touch technology. The 8.7MP PureView camera is superior for low light photography and image stabilization and generally excellent. Solid polycarbonate uni body with unique and colorful Nokia design language. Cons: No SD card slot. Internal battery. Even thicker and heavier than the HTC 8X. The gloss back looks cheap compared to the matte back on the Lumia 900. Camera is great in low light, but only okay during the day. Outlook: This is the flagship Windows 8 phone. The dual-core Snapdragon S4 CPU is the same as the HTC 8X and Samsung Ativ S, and is only outgunned by the quad-core Android CPU’s. The 4.5″ HD screen is by all accounts excellent and is sensitive enough to be used with gloves. Camera tests have shown superior low light ability and image stabilization compared to the iPhone 5 and HTC One X.
Pros: Much thinner body than either the 8X or Lumia 920. Largest screen (4.8″) of the group. Has an SD card slot and large removable battery. Excellent camera. Cons: Lower quality (pentile matrix) screen and cheap materials compared to the competition. Outlook: Essentially a WP8 version of the excellent Samsung Galaxy S III. The 4.8″ screen is the largest of the group, but the lowest quality due to being pentile matrix. The camera is excellent and the battery is large and removable. Pros: One of the thinnest, lightest phones on the market. Very good battery life. Screen is top notch. Excellent camera. High quality materials and classic design. Cons: Screen is small at 4″ compared to other smart phones. Non-removable battery and no SD card slot. No notification LED. Apple’s iOS allows very little user customization compared to Android. Proprietary Lightning port means more expensive cables. Android flagships have caught up in the specs and quality department. Outlook: One of the best all around phones on the market. Powerful while also very thin and light. Excellent 4″ screen and camera. The best small phone available. Pros: The 720p Super LCD-2 is one of the best screens on the market. SD card slot. Looks and feels premium. Excellent camera. Cons: Non-removable battery. HTC ImageChip/ImageSource camera system doesn’t produce better pictures than the competition (although they are still very good). Still on Ice Cream Sandwich, but Jelly Bean is rumored to be coming out soon. Two-tone matte/gloss design is questionable and not as nice as the HTC One X on which the Evo is based. Outlook: Based on the HTC One X, the EVO 4G adds a removable battery and SD card slot at the expense of design asthetics. Although the phone was released in June, it still sports competitive specs. Can be had for as low as $49.99 on contract (Amazon). Pros: The 720p Super LCD-2 is one of the best screens on the market. Fantastic design with high end matte polycarbonate uni body. Looks and feels premium. Excellent camera. Cons: No SD card slot. Internal battery. HTC ImageChip/ImageSource camera system doesn’t produce better pictures than the competition (although they are still very good). Still on Ice Cream Sandwich, but Jelly Bean is rumored to be coming out soon. Outlook: The best looking Android phone available. The One X is still competitive from a specs standpoint even though it was released in May. Can be had for as low as $49.99 on contract (Target). Pros: Large 4.8″ screen. Super thin body. SD card slot and large removable battery. Excellent camera. 2GB of ram. Cons: Lower quality (pentile matrix) screen and cheap materials compared to the competition. Still on Ice Cream Sandwich, but Jelly Bean is rumored to be coming out soon. Outlook: The Galaxy S III is a great all around smartphone. It has a dual-core Snapdragon S4 CPU, a 4.8″ 720p screen, 2GB of ram, an SD card slot and a large, removable battery. Prices are currently in the $99.99 range (Amazon), but Sprint will be selling the Galaxy S III for $49.99 on Black Friday. Other carriers will likely drop the price during the holidays too. ← [Op-Ed]What is Motorola doing?